Below is a sample pre foreclosure letter from the State of California. It is titled Notice of Default And Election to Sell Under Deed of Trust. This shows the amount in default and the date of default. Start Free 7 Day Trial Today! Below is a sample Notice of Trusee Sale notice. As you can see this shows the date of sale, location ofsale and balance owed. 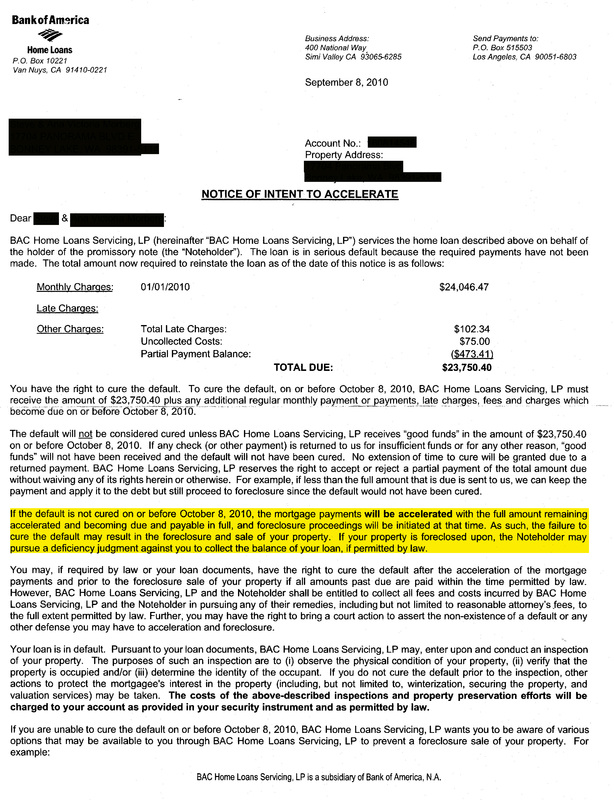 In Texas the notice of intent to accelerate is similar to the notice of default. Florida is a judicial foreclosure state so a Lis Pendens if generally filed instead of a Notice of Default. Need a sample pre-foreclosure template? Check out our pre-foreclosure resources section.